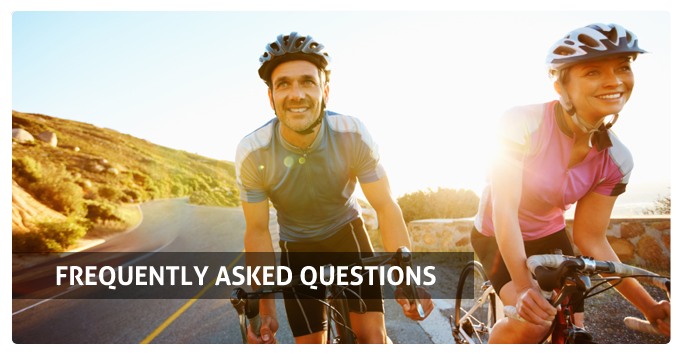 Have questions about BioCell Collagen? You've come to the right place. If you have additional questions, please visit the Contact Us page and fill out the form. I am a regular user of BioCell Collagen, and ever since I started using your product I began receiving comments from my peers about how much younger I look. I used to suffer from dry and sensitive skin, but I no longer need my daily skin moisturizer. Thanks for your product, I now look and feel younger. BioCell Collagen is a clinically researched, multi-patented nutraceutical ingredient that promotes active joints and younger looking skin. Medical professionals and nutritionists are calling it a new generation of “super ingredients”. Unlike most nutraceutical ingredients, which provide one-dimensional support, BioCell Collagen is actually a concentrated bioavailable and bioactive matrix of naturally occurring molecules that play a vital role in the body's ability to maintain healthy connective tissues, flexible joints, and youthful looking skin. Together these elements provide multi-dimensional nutritional support that helps the body more effectively renew connective tissue health in targeted crucial areas such as joints and skin. BioCell Collagen is made from a single natural source and utilizes a patented Bio-Optimized™ process which ensures rapid absorption. More than 20 clinical studies support the safety, bioavailability and effectiveness of BioCell Collagen and its constituents. BioCell Collagen is non-GMO and free of gluten, soy, shellfish, fish, egg, milk, peanuts and sugar. BioCell Collagen is made exclusivley in the USA and Europe. Is BioCell Collagen safe and supported by science? Yes, BioCell Collagen has been safely and successfully used by millions of consumers since its introduction in the market in 1997. It was affirmed GRAS (Generally Recognized as Safe) by an independent experts safety panel following rigorous scientific reviews not only in safety and toxicology data, but on manufacturing processes according to Good Manufacturing Processes (GMP) for food. More than 20 clinical studies support the safety, bioavailability, and effectiveness of BioCell Collagen and its constituents. BioCell Collagen has been granted multiple US and international patents for being unique and highly useful. What is BioCell Collagen made from? BioCell Collagen is made from hormone and antibiotic free chicken sternal cartilage because it is a rich source of collagen type II, hyaluronic acid, and chondroitin sulfate and closely mirrors the composition of human articular cartilage. Cartilage is a very clean source because it is free from blood supply; it does not contain blood and lymphatic vessels or capillaries like other animal parts which collagen type I & III ingredients are made from. This is important because a lot of diseases, bacteria, viruses, steroids, antibiotics are bloodborne or carried through the blood supply. Collagen type I & III are derived from hides, bones and skin of animals (beef, chicken, pork, marine) as opposed to type II, which is rarer because it is predominantly found in cartilage where it naturally coexists with hyaluronic acid and chondroitin sulfate in a blood free environment. BioCell Collagen is made via a patented manufacturing procedure that subjects the chicken sternal cartilage through various processes including filtration, purification, concentration, hydrolysis, and sterilization to ensure consistent quality and safety. Our patented process remarkably removes impurities and reduces the size of all its molecules, making them highly absorbable and fast-acting. This composition and synergy among the three molecules is unique to BioCell Collagen and cannot be found in any other collagen ingredients or blends. BioCell Collagen is made exclusivley in the USA and Europe. BioCell Collagen is affirmed GRAS (Generally Recognized as Safe) and is non-GMO and gluten free. Collagen does not naturally exist in plants. What are the critical nutritional elements found in BioCell Collagen? BioCell Collagen’s composition mirrors human joint cartilage. Independent laboratory analysis shows that BioCell Collagen contains hydrolyzed type II collagen (60%), depolymerized chondroitin sulfate (20%), hyaluronic acid (10%) and other proteoglycans. Collagen is the most abundant protein found in joint cartilage and the dermis of the skin. It provides the structural framework of your connective tissues to keep your skin firm and resilient and your joints active and fluid. Chondroitin sulfate is a naturally occurring element of joint cartilage that gives cartilage it's amazing shock absorbing properties. Hyaluronic acid (HA) is a molecule that helps provide hydration for your skin, lubrication for your joints, and is the gel-like substance that holds your cells together. With a patented process, BioCell Collagen is developed as a molecularly optimized ingredient that can be easily absorbed through the small intestine. BioCell Collagen is non-GMO and free of gluten, soy, shellfish, fish, egg, milk, peanuts and sugar. Is it true, that collagen type 2 should not be combined with collagen type I&3, or they should be taken at least an hour apart from each other? No. There is no scientific evidence of incompatibility between collagen type 2 and 1&3 when taken together. The notion that if they are taken together, the two proteins will bind and form a complete protein and the body will not recognize it as collagen is false marketing rhetoric. In contrast, multiple human clinical studies have been conducted on BioCell Collagen® demonstrating that 2 grams daily is effective for joint health while 1 gram daily is effective for skin benefits. These clinical studies provide solid evidence that BioCell Collagen® is a unique, healthy aging supplement that promotes more active joints and younger-looking skin at the same time. The outcome of these studies was presented in scientific conferences and also published in scientific journals. For study details, click here. Does BioCell Collagen provide collagens types I, II & III? Collagen is the most predominant protein in the body. A number of different types of collagen have been discovered among which type I/III and type II are the major types for the skin dermis and for the articular cartilage, respectively. Research showed that hydrolyzed collagen type II contained in BioCell Collagen stimulated the biosynthesis of collagen type II from the chondrocytes and that daily ingestion of BioCell Collagen increased the collagen content in the facial skin. This suggests that BioCell Collagen can increase all of the major types of collagen (I, II, and III) found in the joint, skin and other connective tissues. Who should include BioCell Collagen as part of the health maintenance program? Everyone can benefit from taking BioCell Collagen. Diet, age, stress, digestive system and physical activity (sports which impact joints), all affect our ability to provide the body with the nutritional raw materials it requires to properly support joint and connective tissue health. BioCell Collagen should be an essential nutritional component for those wanting to remain healthy and active throughout their life. Can BioCell Collagen be given to pets? Yes. BioCell Collagen is affirmed GRAS (Generally Regarded As Safe) based upon the experts’ extensive review of diverse safety and toxicology studies using animal models as well as human subjects. Effective dose can be determined considering the weight of a pet. Is BioCell Collagen similar to glucosamine? No, glucosamine offers only a partial approach to joint health, while BioCell Collagen is a multi-dimensional ingredient that supports both joint and skin health. BioCell Collagen offers a more complete approach to joint health by providing the body with cartilage nutrients such as collagen type II (most abundant protein in cartilage), hyaluronic acid (major component of synovial joint lubrication fluid) and chondroitin sulfate (shock absorbing molecule), in a patented, molecularly optimized form. If we consume only single elements involved in the complex process of keeping our joints and other connective tissue healthy we can only expect partial effectiveness. BioCell Collagen with its uniquely differentiated properties provides broader nutritional support. No other ingredient can demonstrate such excellent and comprehensive clinical data. Plus, in human clinical studies BioCell Collagen demonstrated skin health benefits by boosting skin collagen and reducing facial wrinkles and dryness, while glucosamine has not. Collagen and HA are also integral components of healthy skin. Does collagen naturally exist in plants? No, collagen does not naturally exist in plants. Collagen is a group of proteins found in animals only. It is the most abundant protein in mammals, making up about 25% to 35% of the whole-body protein content. Collagen is a predominant component of the connective tissues and exists usually in the form of fibrils. This essential protein is abundantly found in cartilage, skin, blood vessels, intervertebral disc, and other fibrous tissues such as tendon and ligament. BioCell Collagen is derived from hormone and antibiotic free chicken sternal cartilage that has been subjected to various processes including filtration, purification, concentration, hydrolysis, and sterilization to ensure safety and efficacy. Our patented process remarkably removes impurities and reduces the size of all its molecules, making them highly absorbable and fast-acting. This composition is unique to BioCell Collagen and cannot be found in any other collagen ingredients or blends. BioCell Collagen is affirmed GRAS (Generally Recognized as Safe) and is non-GMO and gluten free.